One of the best ways to experience the Chattanooga Region is to get outside to explore its wilderness and waters. The Southeast Tennessee Tourism Association offers free travel guides to help you find your hike, waterfall, festival, local food, festivals – anything you might want to see or experience in the Chattanooga Region! If you’re in the mood for waterfalls, check out our Waterfall Wonder guide, which highlights everything from impressive veils of water plunging over cliffs to cascades tumbling over rocky outcroppings. Home to the Ocoee River and Hiwassee River Blueway, the Cherokee National Forest is the largest tract of public land in Tennessee. The forest is defined by cascades, rapids and scenic waters, offering endless opportunities for hiking, paddling, cycling and camping. 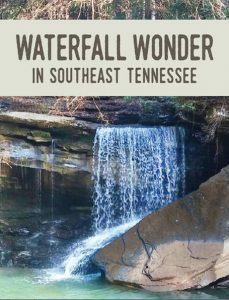 Waterfall Wonder will guide you to Benton Falls (65 feet), Gee Creek Falls (12 feet), Coker Creek Falls (45 feet) and Turtletown Falls (30 feet and 40 feet). 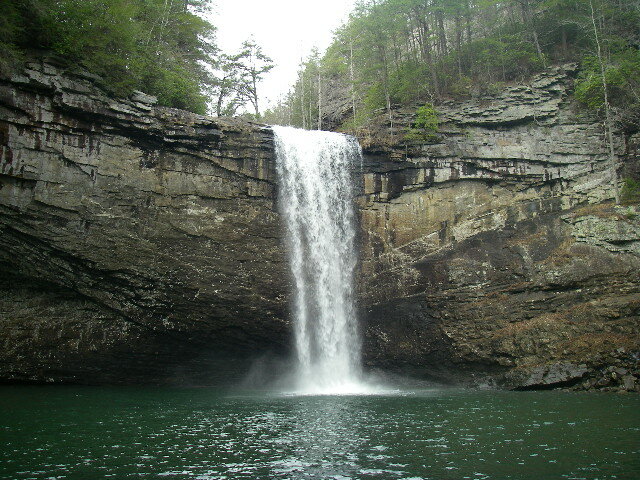 Tennessee’s largest state park, South Cumberland State Park is located halfway between Chattanooga and Nashville. Waterfalls here include: Foster Falls (60 feet), Sycamore Falls (12 feet) and Bluehole Falls (9 feet); Suter Falls (50 feet) and Horsepound Falls (25 feet); Greeter Falls (50 feet) and Boardtree Falls (30 feet); Laurel Falls (25 feet), Ranger Creek Falls (30 feet); Savage Falls (30 feet), and more. 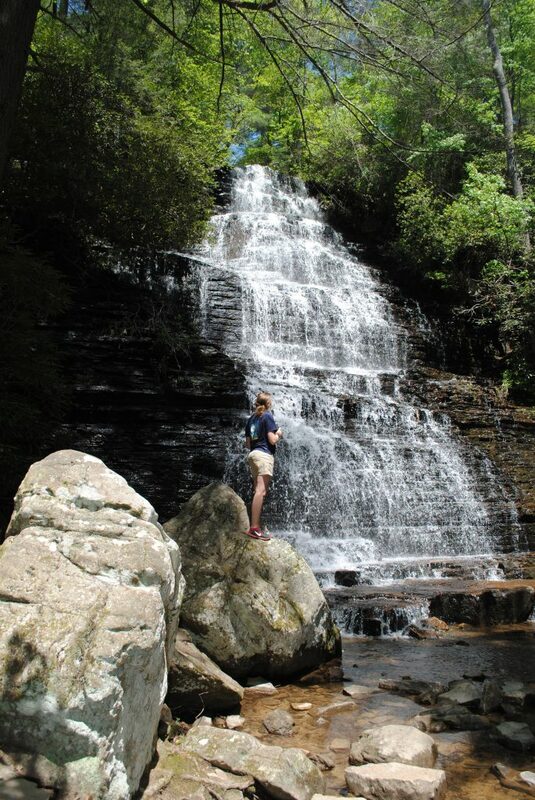 The Cumberland Trail traverses 210 miles of the Cumberland Plateau in East Tennessee. 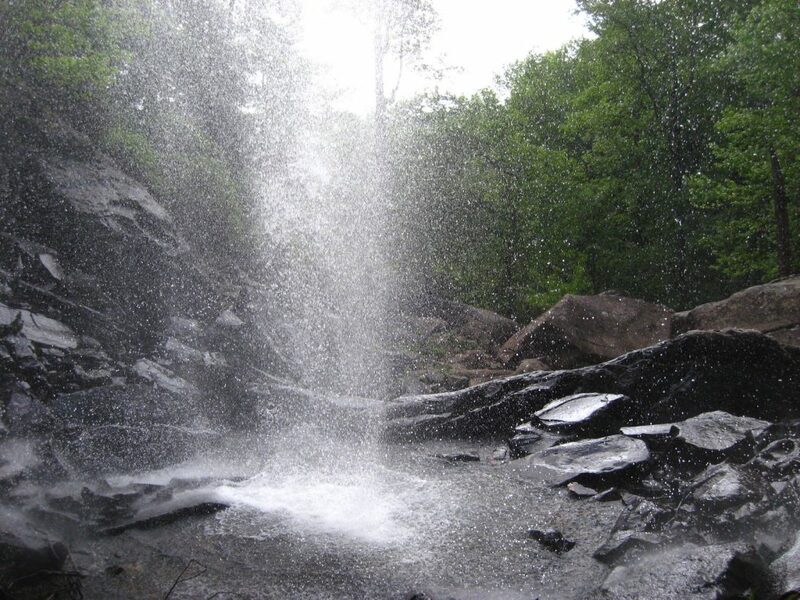 This developing trail system has more than 50 trail heads for its 12 segments of trail, offering hikers access to a remote wilderness with spectacular overlooks and charming waterfalls. Waterfall Wonder highlights seven waterfalls along the Cumberland Trail: Richey Ridge Falls (18 feet), Imodium Falls (25 feet), Laurel Falls (80 feet), Snow Falls (35 feet), Upper Piney Falls (80 feet) and Lower Piney Falls (40 feet), and Big Soddy Creek Gulf’s trickling waters (30 feet). 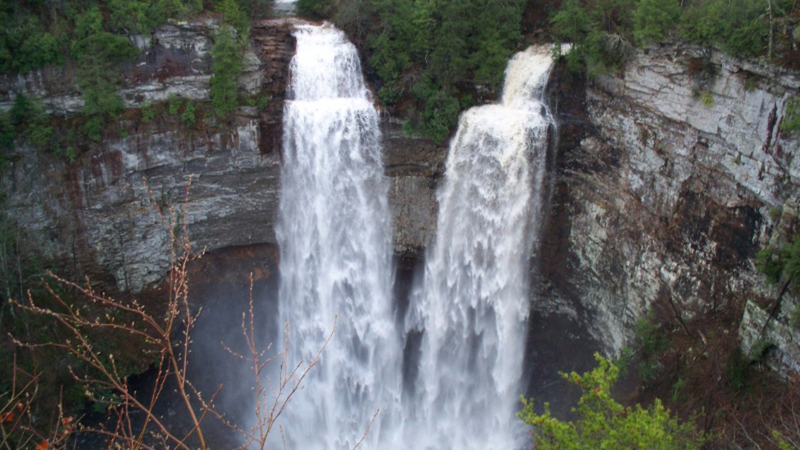 Fall Creek Falls State Park is Tennessee’s most-visited state park, encompassing more than 26,000 acres atop the Cumberland Plateau. 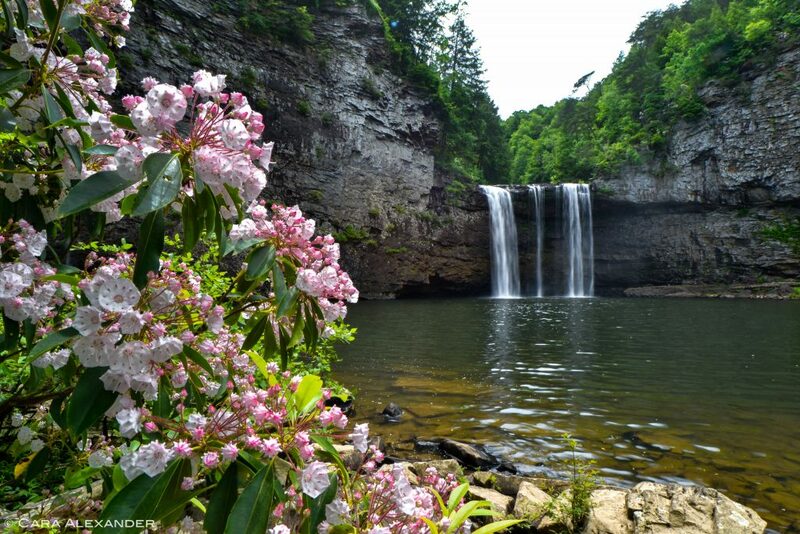 The park is located just west of the charming town of Pikeville, Tenn., and features a number of waterfalls – including the tallest waterfall in the eastern United States: Fall Creek Falls. Visitors can also enjoy more than 34 miles of hiking trails, as well as horseback riding trails, a golf course, pool, campsites and cabins. Click on the image below to download the guide – or pick up a printed copy at the Chattanooga Airport or Outdoor Chattanooga.